Why are there no Wendy's in Europe? American fast food giants such as McDonald's, Burger King, KFC and fast casual chains including Chipotle and Five Guys have made their way across the pond to conquer Europeans over the years. But what about Wendy's? According to its website, Wendy's currently has locations in 30 countries around the world, in the following regions: Asia Pacific, Caribbean, Europe, Middle East, Africa, Latin America and of course, North America. There's just one region that shouldn't be on that list: Europe. There are still no European Wendy's locations, and the reason might surprise you. So what's the deal? Well, there used to be a Wendy's in Europe. Back in 1979, the first European location opened in Munich, Germany. Following this, several more locations opened up in the Benelux region (Belgium, Netherlands, Luxembourg) and elsewhere, but they didn't remain open past the late '80's. In 1988, a man named Raymond Warrens decided to open a restaurant in Goes, Netherlands and named it—you guessed it—Wendy's, after his youngest daughter. As the American Wendy's activity dwindled in Europe, Warrens decided to register a trademark for the name in 1995. He got it, and American Wendy's was prohibited from opening any future locations in the Benelux region. 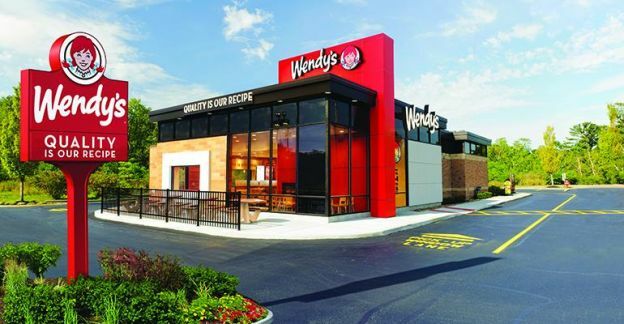 Since the year 2000, Wendy's has been embroiled in a legal war with the Dutch Wendy's, attempting over and over to acquire a European trademark. Dutch courts, however, continuously side with Dutch Wendy's because if American Wendy's did win the rights to a trademark, countries from the Benelux region would be included as they are part of Europe, and that would infringe on Dutch Wendy's rights. So there you have it. That's why there are no delicious old fashioned hamburgers, spicy chicken sandwiches, Frosty's or the famous baked potato with sour cream and chives in Europe. Well you might find all of these at other fast food places; they just won't be descended from Dave Thomas's legacy. Want more fast food news? This McDonald's employee reveals why you should always ask for your receipt.